While physics, math and poetry are dominated by brash youth, many other fields are more amenable to middle age. (Simonton’s list includes domains such as “novel writing, history, philosophy, medicine”.) He argues that these fields show a very different creative curve, with a “a leisurely rise giving way a comparatively late peak, in the late 40s or even 50s chronologically, with a minimal if not largely absent drop-off afterward” (italics added). 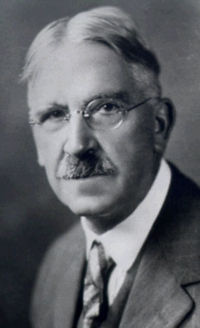 Btw, John Dewey was in his mid-seventies when he wrote and published Art As Experience, which is considered by many to be one of his most important books. He published his, Logic: The Theory of Inquiry, a work of more than 500 pages, when he was nearly 80. Einstein, best work in his 20’s through his mid-30’s. Prev Jobs, Jobs, Jobs–Strange but true, philosophers have one of the best! I’ve always thought this in regard to writers. Vladimir Nabokov, for example, seems to have peaked in his 60’s – 70’s. And old doctors and nurses are like zen masters, I had a cardiologist great uncle in his 80’s who could diagnose a wart over the phone. Thanx for good website. Also i must say that your layout is high quality. Keep up the greater work.